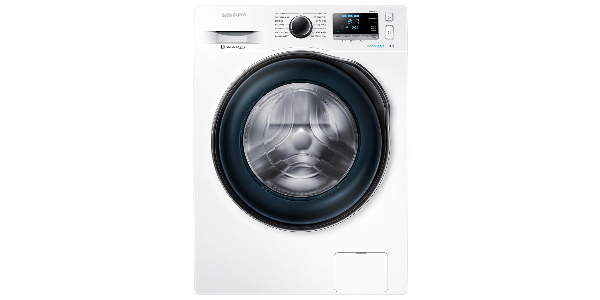 With its range of advanced features, the Samsung WW90J6410CW is a top quality laundry machine. 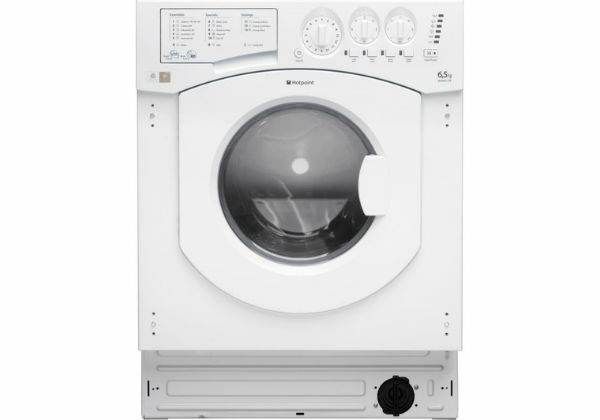 It gets good results across all of its functions, and it comes with a range of features that provide the user with a lot of washing options. While this Samsung washer might be a bit of an investment, the durability and performance of this model help to make it a solid value for the cost. If you are looking for a 9kg washing machine that comes with a wide range of versatile features, the Samsung WW90J6410CW should make your shortlist of models to consider. This washing machine comes with a range of brand features that help it to provide excellent cleaning results, and the user gets a nice variety of options for customising the cycles. Aside from that, this Samsung washing machine does exceptionally well on efficiency, costing just over an estimated £20 a year to run. This machine uses an array of different technologies to achieve good cleaning results. It uses Samsung’s ecobubble technology to assist the detergent in penetrating fabrics and it has the diamond drum for improved fabric care. It also has load size detection for managing operation based on the amount of laundry in the machine, and it comes with a selection of useful programmes that perform well for different tasks. If you are looking for a good assortment of programmes, then the WW90J6410CW from Samsung should satisfy. You get thirteen washing programmes and it has a special programme for cleaning the drum. In this list of programmes, this model has your standards like cottons, cottons eco and synthetics, but it also has special options like baby, super speed, super eco, wool, outdoor care and denim. Overall, the programmes do perform well in regard to the cleaning results, but some users might find that some of the cycle times are a little longer than they would like. Full loads can take quite a long time to complete, and if you want to wash a full load on cottons eco, it takes close to five hours to run. That said, you do have an option to wash 2kg in thirty minutes or you could wash a 5kg load in about an hour with the super speed programme. The features and options are one of the areas where this machine really stands out from the competition. The user can adjust the temperature and the spin speed for the different cycles, and you can also add up to five rinses for a single load. Beyond that, it has the bubble soak feature, which can be good for removing tough stains, and it has an intensive wash and a pre-wash feature. Considering all of the features and options, this washing machine is pretty easy to use. It might take a few cycles before you have all of the options figured out, but it is not overly complicated. You have an electric dial for selecting programmes and it has touch button controls for the rest of your options. One issue is that the touch buttons are a bit sensitive, so you might find that you accidentally turn features on and off when you lean against the machine.